Have you ever tried to save or send a position on the map with your addon? You might have noticed that this is not as easy as it sounds. This library efficiently converts a position on any map into a global position that you can save or share. This is made possible by measuring maps once when they are encountered for the first time during a play session and only doing simple calculations afterwards. Starting with r6 LibMapPing is a required dependency for LibGPS and has to be loaded before LibGPS. Next you can convert a position on the currently active map into a global position on the Tamriel map by calling LocalToGlobal. The resulting x and y can be saved, sent or whatever else you want to do with it. The call to LocalToGlobal will also return a mapIndex which represents the parent zone of the currently opened map. NOTE: The zoneMapIndex can be different for the same position depending on the map the user has opened. NOTE: For some locations the global coordinates can be outside the bounds for normalized coordinates, for example Coldharbour has negative x coordinates as it is to the left of Tamriel in the global coordinate space. After you have loaded or received a global position you just need to call GlobalToLocal to get the position on the current map. Returns true as long as the player exists. Returns true if the library is currently doing any measurements. Removes all cached measurement values. Removes the cached measurement values for the map that is currently active. Returns a table with the measurement values for the active map or nil if the measurements could not be calculated for some reason. The table contains scaleX, scaleY, offsetX, offsetY and zoneMapIndex. scaleX and scaleY are the dimensions of the active map on the Tamriel map. offsetX and offsetY are the offset of the top left corner on the Tamriel map. zoneMapIndex is the mapIndex of the parent zone of the current map. Returns the mapIndex and zoneIndex of the parent zone for the currently set map. Calculates the measurements for the current map and all parent maps. This method does nothing if there is already a cached measurement for the active map. Returns a boolean to indicate if the measurement was successful and a SetMapResultCode indicating if the map has changed independently of the actual result of the measurement. Converts the given map coordinates on the current map into coordinates on the Tamriel map. or nil if the measurements of the active map are not available. Converts the given global coordinates into a position on the active map. Returns x and y on the current map or nil if the measurements of the active map are not available. Converts the given map coordinates on the specified zone map into coordinates on the Tamriel map. This method is useful if you want to convert global positions from LibGPS version 1 into the new format. Returns x and y on the world map or nil if the measurements of the zone map are not available. This function zooms and pans to the specified position on the active map. This function sets the current map as player chosen so it won't snap back to the previous map. 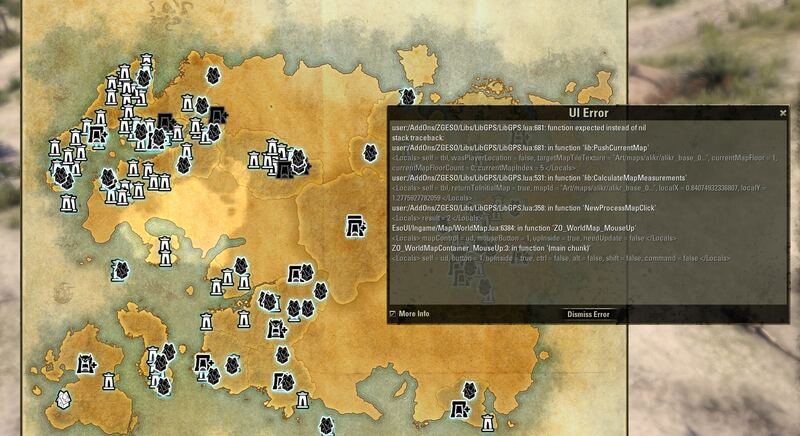 Sets the best matching root map on the given global position: Tamriel, Cold Harbour or Clockwork City and what ever will come. Returns SET_MAP_RESULT_FAILED, SET_MAP_RESULT_MAP_CHANGED depending on the result of the API calls. Repeatedly calls ProcessMapClick on the given global position starting on the root map (using the function above) until nothing more would happen. Returns SET_MAP_RESULT_FAILED, SET_MAP_RESULT_MAP_CHANGED or SET_MAP_RESULT_CURRENT_MAP_UNCHANGED depending on the result of the API calls. This function stores information about how to return to the current map on a stack. Switches to the last map that was put on the stack. This callback is fired on the global CALLBACK_MANAGER when a map measurement begins or ends and passes the same value as lib:IsMeasuring(). If you have a custom handler for player waypoints in EVENT_MAP_PING you may want to ignore these events while a measurement is active. Tip: Since r6 the waypoint handling is managed by LibMapPing, which you should take a look into as it offers many useful features for working with map pings. Handling the new zone "Artaeum". Fixed MapZoomInMax. Now working for Cold Harbour and Clockwork City aswell. New function SetMapToRootMap(x, y) using global coordinates to choose the right root map. Fixed map ping events can cause wrong waypoint/rally pins in combination with addons changing the current map. Fixed issue with missing waypoint pin, if addons use different revisions. Thanks to @babylon. Fully compatible with Morrowind+, now. Restore pan & zoom after measurement as well. Handling the new zone "Clockwork City". Fixed issue, which was fixed in rev9 and lost in rev10, again. e.g. "Show on Map"
Make use of new API functions to get pin manager and pan to location. Fixed issue with maps like "Blackwood Borderlands". Hooked ProcessClick to get map measurement while clicking down to a (sub-)zone already. Restore player waypoint correctly. Broken since ESO 2.2.5??? Earlier initialization: LibGPS is ready at player activation. New origin map location detection does not use localized names (GetMapName, GetPlayerLocationName) anymore. Instead working with SetMapToPlayerLocation. Thanks to circonian for inspiring idea. Origin map location detection: isPlayerLocation uses in-string search and exception list. Both changes hopefully fixing problems with dungeons. Fixed map measurement for dungeons like "The Harborage". Removed code for API 100011. Fixed minor bug with Transitus Shrine of alliance base: Depending on when LibGPS does its measurement, you got locked to the alliance base subzone, because map navigation is disabled while interacting with a Transitus Shrine. added SetPlayerChoseCurrentMap function which allows you to set the current map as player chosen, thus preventing the map from automatically snapping back. Upon attempting to update libgps2 within minion, the download froze and would not complete. I uninstalled and attempted a new, fresh installation, which also stuck and would not complete. Thanks for reporting that. LibGPS had a small accident recently where a new update was pushed by a rogue script, which was later rolled back. Seems this is causing a problem with minion. It will go away once the actual new version of the library is uploaded (which will happen today or tomorrow). Last edited by sirinsidiator : 02/25/19 at 03:25 AM. This is still r15 instead of r16. Oh. Well my apologies. I thought I updated that the other night. Anyhow, updated again and it looks like that fixed the issue. Thanks! You don't have the most recent version of libGPS. Zygor includes version r15 instead of the most recent r16. 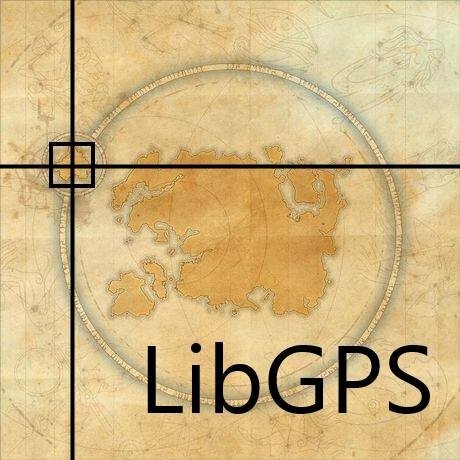 I updated LibGPS, LibMapPing, and LibStub in the Addon's Libs folder last night. I am most definitely working with r16 for 4.2. Last edited by Schaf92 : 12/19/18 at 05:52 AM. Last edited by Hydra9268 : 12/18/18 at 11:24 PM. Has anyone come across something like this? Any ideas what it might be? 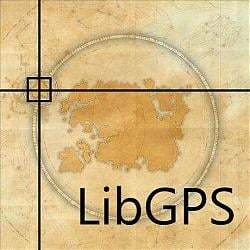 I have the latest version of LibGPS. When I clicked on Grahtwood from the Tamriel map. Whatever map I click on throws that error. It looks like all map itself fails to load, but all the elements from the map loads and then superimposes itself over the Tamriel map. Last edited by Schaf92 : 12/18/18 at 05:37 AM. With this library enabled in ANY addons quest's "Show on map" option (drop down menu) is non-functional FOR QUESTS in Dungeons. It will show your position instead AT first ATTEMPT. any ETA on fix? or this addon abandoned? Which means you cannot open a dungeon map while outside of that specific dungeon. Last edited by QuadroTony : 10/26/16 at 04:14 AM. Last edited by QuadroTony : 10/26/16 at 06:46 AM. How should i proceed to Jump to a specific map and location? For example a Dungeon Map while being anywhere? are you talking about jumping via fast travel or changing the current world map to show the dungeon? Yes i would like to see the map for a certain location, like the Quest Pins (Show on map) do. if you open the map it will show where you currently are, i would like to browse the maps that are ingame so that other addons that add stuff to those maps would work on them, and i would be able to use the map Window to be shown in my addon as the Minimap addon uses it at a smaller size too. Last edited by sirinsidiator : 10/25/16 at 06:05 AM.